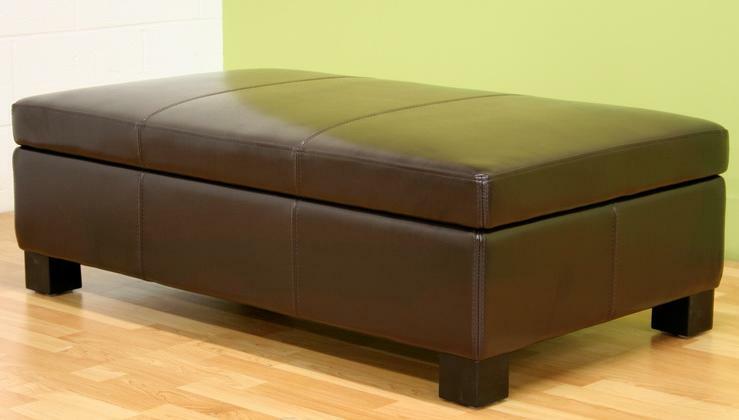 Large storage and relaxation needs call for large and multifunctional storage ottoman. The sleek and stylish espresso brown bonded leather is pulled taut over high-density foam cushioning and wood framing. When the lid is lifted, you will reveal an efficiently-concealed and generously-sized empty space for Ame storage ottoman. This lid is secured to the ottoman’s base with 3 antiqued brass standard hinges and supported while ajar with two silver-tone safety hinges.